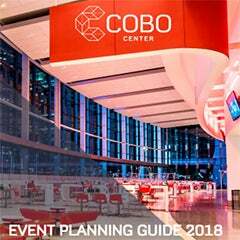 The Cobo Center Executive Green Team set goals and objectives in October for the Green Committee's fiscal year 2019. 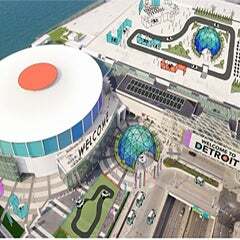 Included in its strategic plan were action steps for waste diversion during the North American International Auto Show (NAIAS). The result of this full team effort was the highest waste diversion during the month of January ever at 60 percent, representing 95 tons of material. 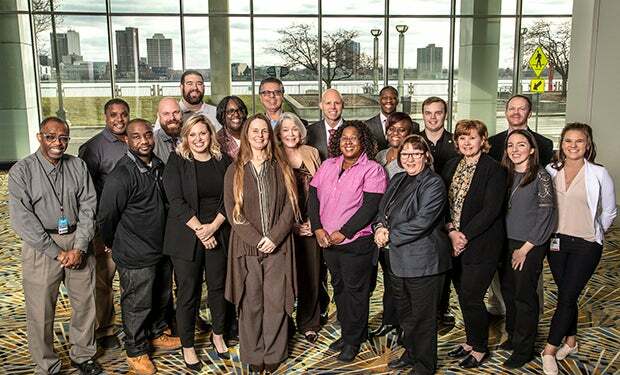 The 2018 NAIAS waste diversion rate was 31 percent, and the 2017 rate was 18 percent. 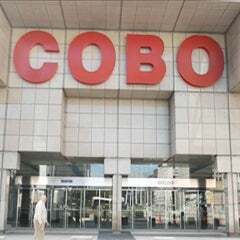 This steady climb in waste diversion totals for January in Cobo Center is due to the unwavering efforts of the Green Committee, as year after year they plan to improve on last year's performance. It required post-event donation handling, staff training, staff designations, composting procedures and new policies for bottle collection and handling. The post-event donation program was new to the strategy this year, and yielded 20 percent of the 60 percent rate. Collecting and donating materials left from the show's exhibits also made a difference. Materials such as carpet, trees, wood, and flooring were set aside in the dock area for pick up by local non-profit agencies to reuse. Green Committee member Kristin Shaw from the Cobo Technology Services department led a group of 12 members working toward the post-event material collection effort. This new group is a real boost to the diversion rate and raises the bar for years to come. Many thanks to Sharice Matthews, Yulonda Barton, Jacinto Roller, Cletus McPherson, Daniel Moore, Spencer O'Neal, Claireborne Perkins, Lisa Hennessy, Cedric Turnbore, Allison LaPointe and Jenna Grabowski.